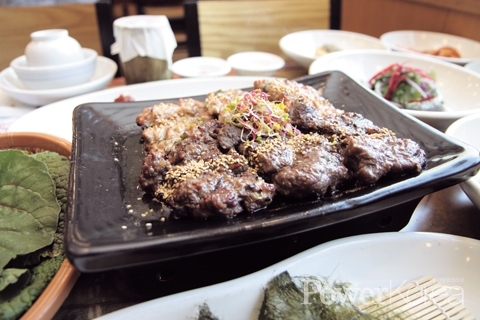 The very authentic taste of South Jeolla grilled short rib patty! Grilled short rib patty is one of the most sought-after menus in the royal court. For many Koreans this royal cuisine reminds them of Damyang County also famous for bamboo and the metasequoia-lined road. If you happen to drop by the area, you are highly recommended to try the ultimate taste of the food at Namdo Yedam located on 143 Damjang-ro, Wolsan-myeon, Damyang County. Both pork and beef patties are made of 100% Korean pork and beef. You might know the restaurant already if you have visited the county since it is one of the best restaurants in the region. In order to realize the authentic taste of the meat itself, CEO Yunsook uses nothing other than the meat itself except spring onions that are needed to remove the unique smell of the meat. The meat is the first rated and it gets charcoal grilled as earliest time as possible from the moment of the delivery. What will certainly surprise you alongside the ultimate taste of grilled short rib patties is the side menus that come in variety which is common practice in Jeolla Province. You cannot help feeling that you are having a traditional Korean banquet table rather than a single grilled short rib dish alone. The food columnist Kim Yoo-jin praises the grilled short rib patty of Namdo Yedam as one of the three best grilled short rib patties of all time. Interview requests have been flooding in and CEO Yunsook could not help but appearing on a number of TV food shows to demonstrate her skills. She was born and bred in Damyang County and has 20 years of experience in making grilled short rib patties. She once invented ‘Damyang Gosoae Teokgalbi (teokgalib means grilled short rib patty)’and won the grand prize at the 24th Namdo Food Festival. “It is made of edible insects and you can eat in the form of powder. Those who tried it gave a positive feedback and I’m confident to release in the market in near future” says Yunsook. In fact, she is studying hotel management at Hanyang Cyber University at the moment in order to deepen her knowledge in the catering and hospitality business. Opening a factory and spreading the authentic taste of the local specialties!